EADS Construcciones Aeronauticas SA, a Spanish firm, was confirmed by the Department of National Defense as the supplier for Philippine Air Force’s three medium lift fixed wing aircraft. DND issued a Notice to Proceed to EADS CASA signed by National Defense Secretary Voltaire T. Gazmin. The said notice was received by EADS CASA last March 28, 2014. 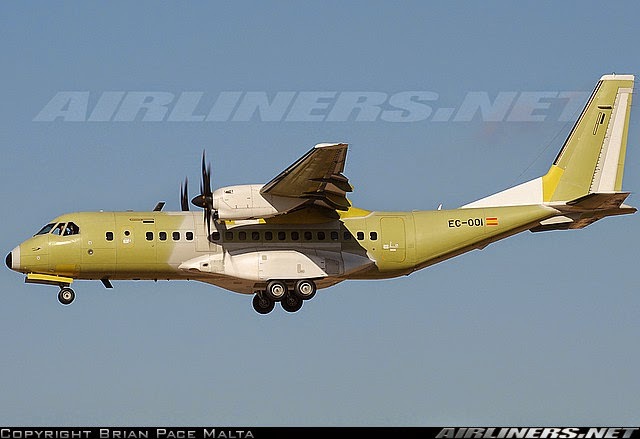 The said firm, EADS CASA, will be providing the Air Force with three C295 planes for PhP 5,288,609,983.99. C295 is a smaller aircraft compared to C130. “The Airbus Military C295 is a new generation, very robust and reliable, highly versatile tactical airlifter able to carry up to nine tonnes of payload or up to 71 personnel, at a maximum cruise speed of 260 kt /480 km/h,” the plane’s manufacturer described. “The aircraft performs any type of mission: from personnel, troop and bulky/palletised cargo transportation to casualty evacuation, communication and logistic duties, search and rescue, surveillance and control, homeland security, or certified air-dropping,” it added. Jakarta--- KRI Clurit-641 dengan Komandan Mayor Laut (P) Bambang Supriyono, S.E. dan KRI Kujang-642 dengan Komandan Mayor Laut (P) Rama Remiear Putra, baru-baru ini di perairan Pulau Lingga, Batam, Kepri, berhasil melaksanakan kegiatan HAT (Harbour Acceptance Test) dan SAT (Sea Acceptance Test) Fire Control System (FCS) Rudal C-705 dan Combat Management System (CMS) Meriam NG-18 6 Barrel kaliber 30 mm. Rangkaian kegiatan SAT meliputi anti surface real target test, missile anti surface real target test, anti air real target, moving base alignment for missile dan naval gun firing test. Rudal C-705 yang telah dipasang di kedua KRI memiliki kemampuan surface to surface missile dan surface to land missile dengan jarak jangkau 140 Km. Rudal tersebut dipersiapkan untuk mengandaskan kapal perang musuh yang berbobot hingga 1.500 ton (Klas Light Corvette) dengan kemampuan daya hancur hingga 95,7%. Dengan demikian ideal untuk menenggelamkan kapal. Sementara itu Meriam NG-18 6 Barrel kaliber 30 mm berfungsi melindungi kapal dari serangan udara musuh sebagai senjata antirudal. Meriam NG-8 6 Barrel kaliber 30 mm buatan China tersebut memiliki jarak tembak maksimum 4.000 m dan minimum 500 m.
C-705 dan Meriam NG-18 6 Barrel. 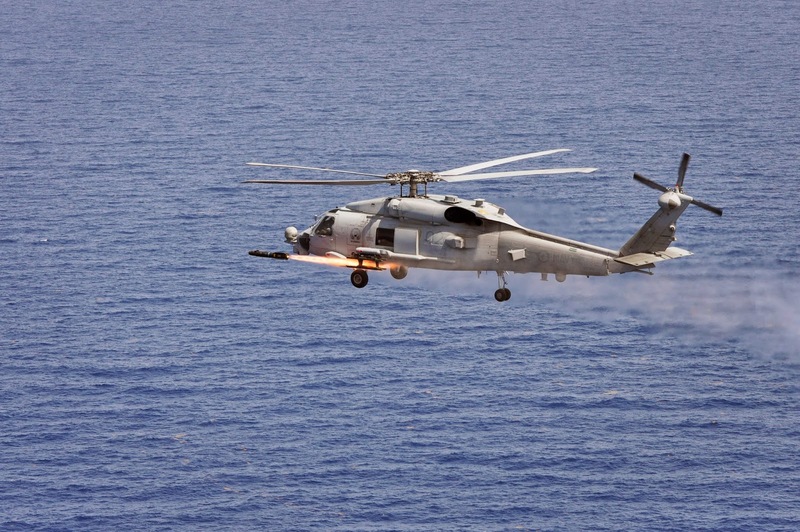 The Royal Australian Navy’s newest maritime combat helicopter, the MH-60R Seahawk ‘Romeo’, has successfully fired its first ‘Hellfire’ missile in the United States. 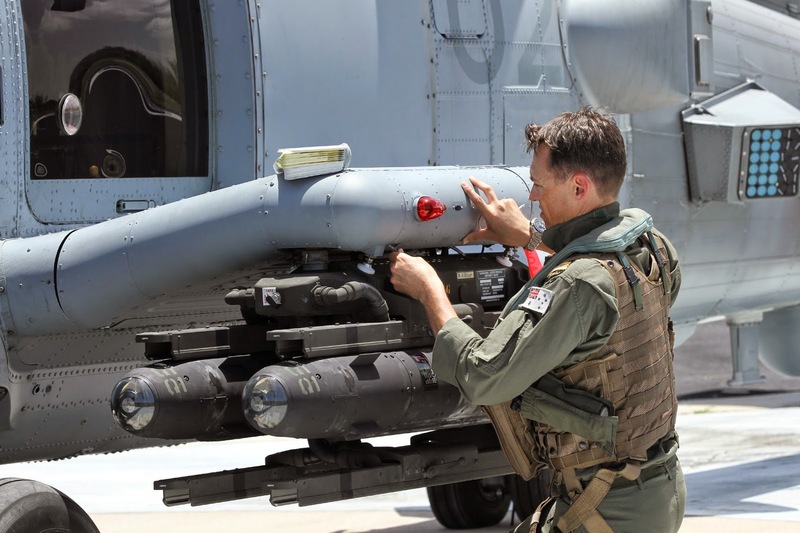 The AGM-114 Hellfire air-to-surface missile was fired by Navy’s 725 Squadron from aircraft currently deployed to the United States Navy’s Atlantic Undersea Test and Evaluation Centre off the Florida coast. Commander Australian Fleet, Rear Admiral Stuart Mayer, said the Seahawk Romeo’s cutting edge mission systems provided a formidable naval platform. “Navy’s next generation submarine hunter and anti-surface warfare helicopter will be the cornerstone of our working Navy’s aviation combat capability. “The new aircraft’s multi-mission and multi-target precision strike capabilities will increase our versatility and potency as a high-end fighting force,” RADM Mayer said. The head of the Helicopter and Guided Weapons Division in the Defence Materiel Organisation, Rear Admiral Tony Dalton, said the successful Hellfire missile firing was a major milestone in delivering Defence’s Project AIR 9000 Phase 8. “This $3.2 billion acquisition program is providing Navy with a state-of-the-art, helicopter based war-fighting capability–our journey through production, acceptance and now testing of the aircraft’s major weapon systems has been steady, effective, ahead of schedule, and on budget. “The Seahawk Romeo is a quantum leap over Navy’s current combat helicopter force–both in numbers and capability,” RADM Dalton said. Defence took delivery of the first two of 24 Seahawk Romeos in the United States in December 2013 at Lockheed Martin’s Mission Systems Facility in Owego, New York. 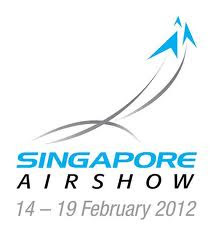 Two more aircraft were accepted in February 2014. All four aircraft are being operated by Navy’s 725 Squadron alongside three US Navy Seahawk Romeo squadrons based out of the US Navy’s Jacksonville air station in Florida. Ultimately, two Seahawk Romeo squadrons will be home based at Navy’s Nowra, New South Wales, air station, with 725 Squadron conducting Seahawk Romeo training and 816 Squadron flying the Seahawk Romeo from Navy’s ANZAC Class frigates and the new Hobart Class destroyers. A further two MH-60R will be delivered in October 2014. Deliveries will continue during 2015 with the 24th and final aircraft being delivered in 2016. 725 Squadron personnel and their aircraft will be brought home to Australia at the end of 2014. Nulka is a sophisticated anti ship missile defence system, jointly developed by Australia and the United States during the 1990s, and today is in service with the Royal Australian Navy and the navies of the United States and Canada. When finalised, the updated system will be installed into the Navy’s ANZAC Class Frigates and Hobart Class Destroyers. Work will also be undertaken to fit Nulka to the Canberra Class Amphibious Ships. The total cost of SEA 1397 Phase 5B is $100 $300 million (middle of the band). Setelah penyambutan di Makoki Kikavtai 2 Kostrad Tim maintenance Doosan DST dari Korea Selatan langsung menuju garasi ranpur Kikavtai 2, setelah di garasi ranpur mereka langsung membagi tugas, sebagian tim langsung melaksanakan pengecekan 2 unit ranpur Tarantula didampingi oleh anggota Tim Har. Sebagian lagi memberikan pengetahuan teori dan praktek kepada para Danran dan Pengemudi ranpur Tarantula. Pengecekan yang dilakukan meliputi pengecekan mesin, sistem kelistrikan, panel-panel dashboard, lampu-lampu, ramp door, generator, pompa air, winch, dsb. Sementara untuk pelatihan automotive meliputi pengenalan mesin, pengoperasian ranpur, prosedur menghidupkan dan mematikan kendaraan, cara pelumasan, penggunaan winch, bongkar pasang roda, dsb. Kegiatan yang berlangsung dari tanggal 2 s.d 5 Juni 2014 dapat dilaksanakan dengan baik dan lancar dan diakhiri dengan foto bersama dan pemberian sertifikat dari tim Doosan DST kepada para peserta pelatihan dan maintenance. MELBOURNE, AUSTRALIA — Australia plans to include a replacement for its Saab RBS-70 very-short-range air defense missile system in its next Defence Capability Plan. The Australian Army uses the RBS-70 system, along with the Lockheed Martin PSTAR-ER radar, to fulfill its ground-based air defense (GBAD) requirements, but an Australian Defence Force (ADF) spokesperson confirmed the combination was not considered adequate to defeat future threats. “It is a dated, line-of-sight system missile that provides very-short-range GBAD and lacks the sensors, range and performance to protect against the likely threats of today’s helicopters, UAVs, stand-off aerial weapons, cruise missiles and rockets, artillery, mortars,” the spokesperson said. The ADF is developing future ground-based air and missile defense requirements and examining options in the marketplace. The new system will be acquired under the ongoing Project Land 17 Phase 7B, but has yet to gain much traction. The Australian government will give first pass approval in fiscal 2016-2017, which the ADF says will allow time to initiate formal market solicitation. Acquisition is estimated to be between AUS $500 million (US $469 million) and AUS $1 billion. Government approval for acquisition would be sought in fiscal 2017-2018. Army initial operational capability is planned for fiscal 2020 to 2021. The spokesperson said the project is modeled after the National Advanced surface-to-air missile system used by a number of European nations, and also by the US National Guard in defense of Washington. In 2012, the Australian Army took delivery of three Saab Giraffe agile multibeam (GAMB) radar systems under an urgent acquisition process to provide its base at Tarin Kot in Afghanistan with a counter-rocket, artillery and mortar capability. Since the Australian withdrawal of most of its forces from Afghanistan, the two operational GAMB radars have been returned to Australia (the third had been retained locally for training) but do not have a clear role in domestic operations. Saab Australia sees the Giraffe AMB, together with its upgraded RBS-70NG missile system, as a possible solution to the Australian requirement. The missiles used by the RBS-70NG are identical to those in the earlier system already in use with the Army and comprise the third-generation Mk.2, with an effective range of 7 kilometers at heights up to 4,000 meters; and the fourth-generation Bolide round, capable of knocking down targets at distances up to 8 kilometers and altitudes up to 5,000 meters. The company says the major change is to the sight, which has an integrated thermal imager, an auto-tracking system to improve aiming and guidance, automatic after-action video capability, and 3D visual cueing. 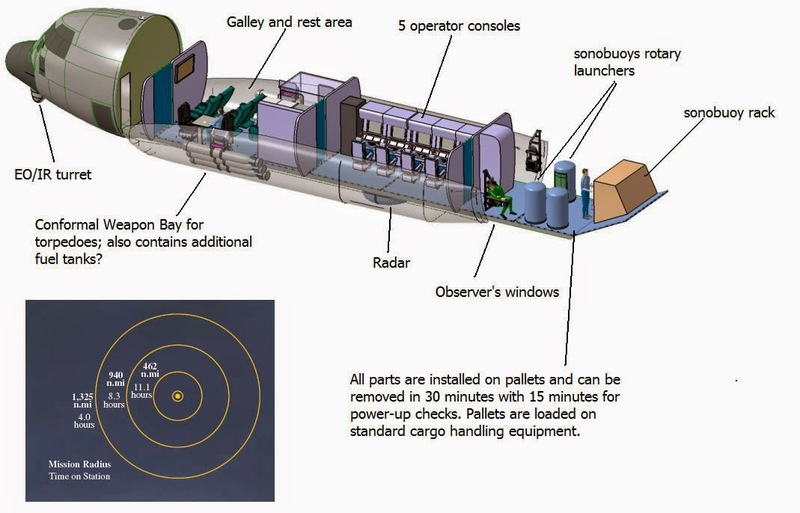 This feature receives data from the surveillance radar, allowing the operator to find the target without actually seeing it first. 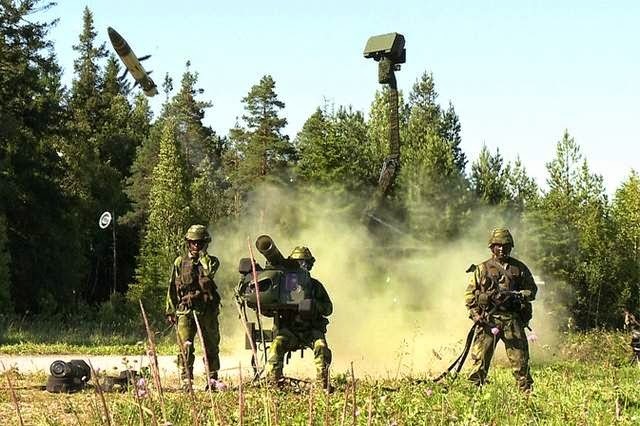 Saab officials claim that during recent comparative trials in India, RBS-70NG operators were getting their shot away before their competitors systems had even acquired the target. The RBS-70NG also incorporates an identify friend or foe interrogator system as standard equipment while Saab works to integrate it with land vehicles, delivering a tactical, mobile GBAD system. 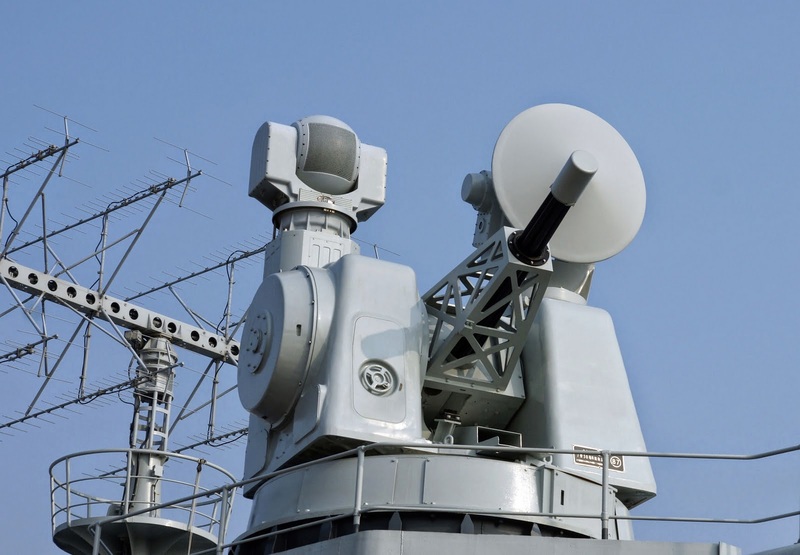 The company is proposing to upgrade Australia’s GAMB radars, including provision of a Link 16 datalink, and swap out the RBS-70 launchers for the upgraded equipment at what it claims is a modest cost. The company has also integrated other missile systems with GAMB, including Raytheon’s I-Hawk and Diehl’s IRIS-T.
“We think it will be attractive to the ADF because Australia is already an RBS-70 user,” explained Jessica Rylander, an engineer with Saab’s Dynamics branch. “And the difference from an operator’s perspective is the increased” kill probability, she said. The RBS-70NG sight enhances the capability of the Bolide missile by reducing tracking noise, increasing maneuverability and improving performance against small targets at maximum range, according to Saab. “The RBS-70NG and Giraffe AMB solution is designed to address targets such as small UAVs, cruise missiles and helicopters in the 2025 space,” added Mat Jones, Saab Asia-Pacific business development manager. “We are investing a lot of time, effort and money into GBAD, to ensure the architecture is future-proofed. The RBS-70NG/GAMB combination could provide a step change in capability, within the existing budget,” said Jones. But much will depend on the final specifications mandated by Land 19/7B when the Defence Capability Plan is made public next year. 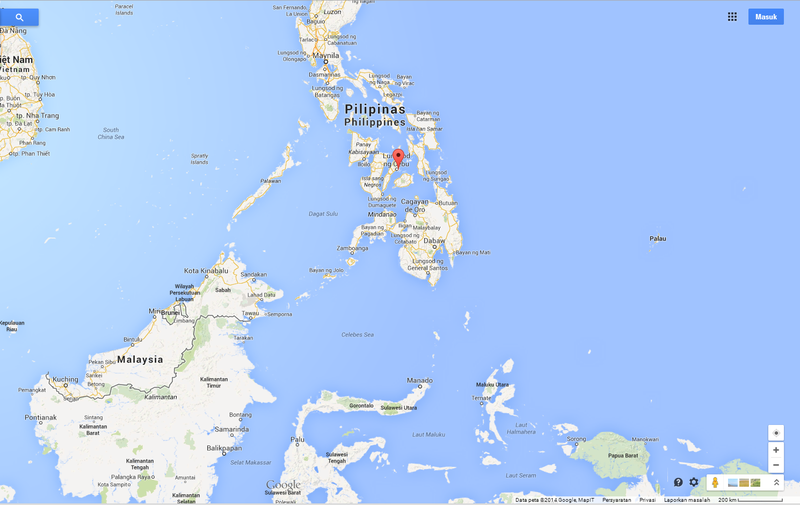 CEBU CITY -- The Philippine Navy is planning to convert their naval base in Mactan, Cebu into the new home for its Philippine Fleet. Vice Admiral Jesus Millan, the Philippine Navy's Flag Officer in Command, said Cebu is the ideal site to accommodate the Philippine Fleet because it is the hub of all the shipping companies and repair facilities and its accessibility to air and sea ports. "Considering the strength of the area, this will be the official place and home for all our support and current floating assets and those that will be acquired in the future,” Millan said. Millan said he has asked Commodore Ronald Joseph Mercado, the new Naval Forces Central (Navforcen) chief, to make Cebu's Naval Base Rafael Ramos as a hub for all its ground and sea assets under the Philippine Fleet. Mercado, who hails from Banawa, Cebu City, replaced former Navforcen commander Commodore Reynaldo Yoma, who will be the new commander of the Western Mindanao Naval Forces. Mercado was last assigned with the Offshore Combat Force of the Philippine Navy. Mercado said he is willing to take the challenge as the new Navforcen chief. He also vowed to continue and strengthen the humanitarian assistance and disaster response in the Visayas. "We need to be more prepared after what we have experienced and we already learned our lesson," Mercado said. Millan said Yoma did well particularly when he faced three major man-made and natural calamities -- a sea collision, a 7.2 magnitude earthquake in Cebu and Bohol, and super typhoon Yolanda in most parts of the Visayas -- during his stint. 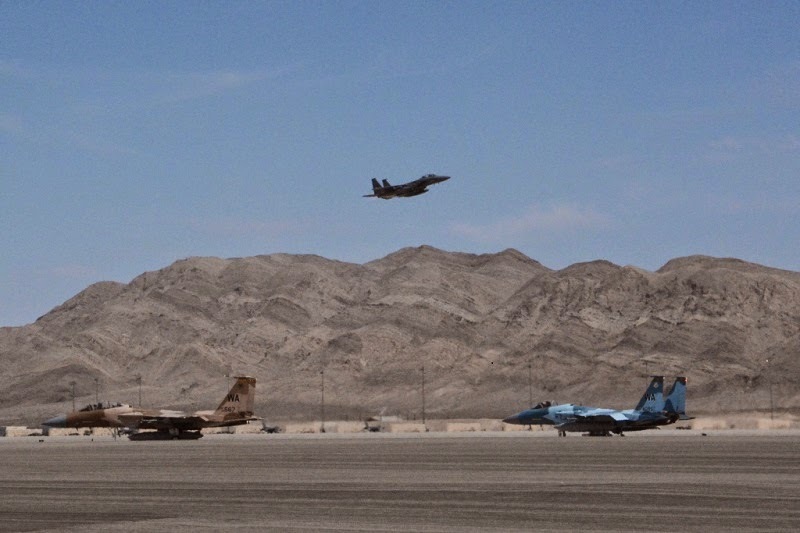 The Republic of Singapore Air Force (RSAF) is participating in the United States Air Force (USAF)-hosted Exercise Red Flag - Nellis at Nellis Air Force Base, Nevada, United States, from 14 to 26 Jul 2014. The RSAF has deployed 8 F-15SG and 8 F-16C/D fighter aircraft, 3 CH-47 helicopters, and about 290 personnel from its Peace Carvin II, Peace Carvin V, and Peace Prairie detachments in the United States, to participate in this air combat exercise. They are exercising with 83 other aircraft, including the USAF's F-22, F-15, F-16 and EA-18G fighter aircraft, and the E-3 airborne early warning aircraft, and a C-130 from the French Air Force (FAF). 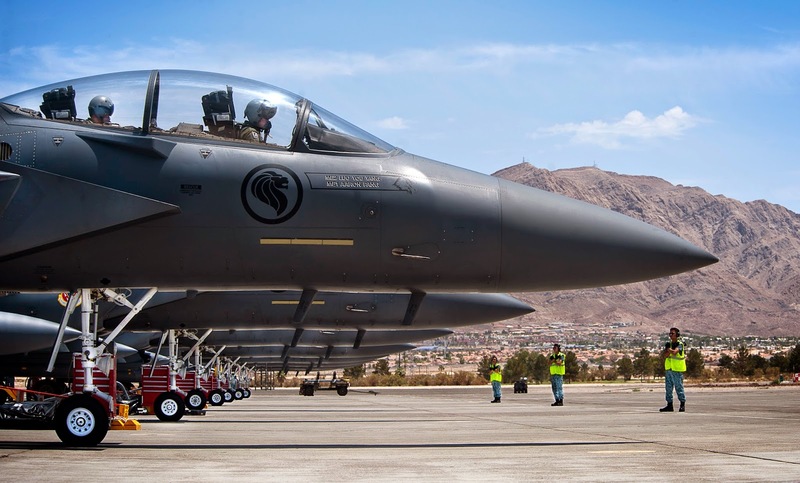 Exercise Red Flag - Nellis is a combat training exercise that allows participants to execute air combat and strike operations in a realistic, high-threat environment to enhance their combat readiness and operational capabilities. Highlighting the significance of the RSAF's participation in the exercise, Lieutenant Colonel Tham Yeow Min, the RSAF Peace Carvin V Detachment Commander, said, "We value the opportunity to train alongside our USAF and FAF counterparts in this large-scale exercise as it allows us to hone our operational competencies. This high-end exercise provides the RSAF with an opportunity to benchmark itself against other leading air forces. The RSAF has always done well at Exercise Red Flag - Nellis, and the RSAF F-15SGs will continue to uphold the high standards." This is the inaugural participation of the RSAF's F-15SGs in Exercise Red Flag - Nellis, which the RSAF has been taking part in since 1982. The exercise also underscores the excellent and long-standing defence relationship between the United States and Singapore. KOTA KINABALU: The Royal Malaysian Navy, which has helped thwart pirates in international waters, is well placed off Sabah’s east coast to protect the country’s security against external threats. Taking the role as the “mother ship” is naval vessel Bunga Mas 5, which will serve as a forward sea base equipped with high-speed interceptor boats, radar surveillance and helicopters. 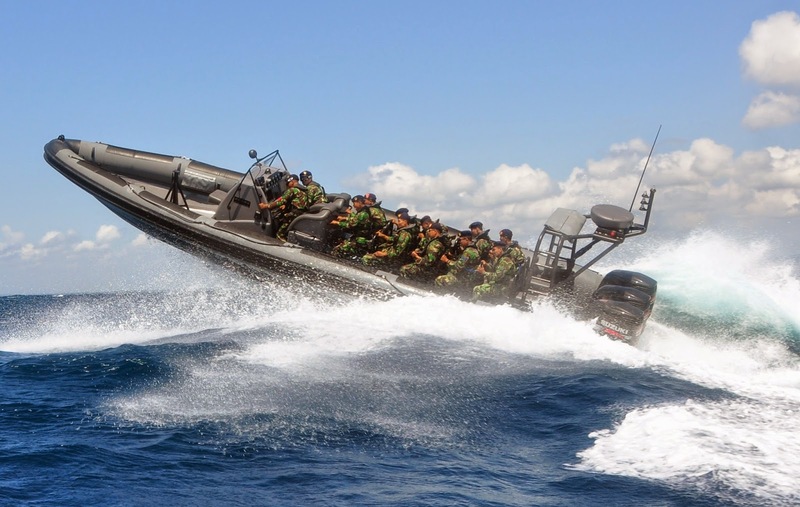 The three interceptor combat boats (CB90) will be used together with the rigid hull inflatable boats (RHIBs) that are currently being used by the navy’s elite sea commando unit (Paskal) and two new boats that were recently acquired by the navy – the Silver Brize and P38 craft. 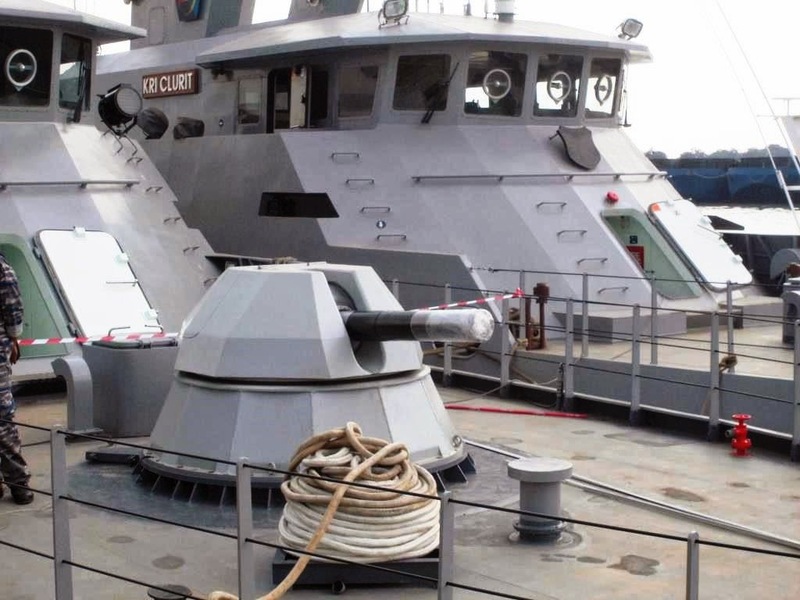 “The Bunga Mas 5 is the right choice to be placed in the area as it has a surveillance radar system and is equipped with helicopters to carry out night operations over long distances,” said navy chief Admiral Tan Sri Abdul Aziz Jaafar. He said it helped thwart the attacks by Somali pirates against ships crossing the Gulf of Aden. Admiral Abdul Aziz said the navy would also be sending in warship KD Lekiu, which was equipped with a Super Link aircraft, to the eastern Sabah waters. “I am confident with the presence of Bunga Mas 5 and the other assets, we will able to act against the intruders,” he said here yesterday. He said the helicopters, capable of operating at night, were seen as the best option in protecting borders against unwanted elements. On his earlier order of “shoot on sight” against intruders, Admiral Abdul Aziz said it “can be frustrating for our navy personnel to not shoot at an identified enemy during hot pursuit within the country’s waters”. “This is due to constraints in operational directives,” he added. Bertindak sebagai leader penerbangan "Viper Flight" ini adalah Col. Howard Purcell dengan pesawat bernomer ekor TS-1625, selanjutnya Maj. Collin Coatney/ Letkol. Firman Dwi Cahyono dengan pesawat TS-1620 dan terakhir Ltc. Erick Houston/ Mayor Anjar Legowo menerbangkan pesawat TS-1623. Penerbangan bersejarah ini disambut oleh dengan pengalungan bunga oleh Panglima Koopsau II Marsdya TNI Abdul Muis yang didampingi Komandan Lanud Iswahjudi Marsma TNI Donny Ermawan, Kepala Proyek “Peace Bima Sena II” Kolonel Tek Amrullah Asnawi dan para pejabat dari jajaran Kemhan, Mabes AU dan Lanud Iswahjudi. Kepala Staf Angkatan Udara Marsekal TNI IB Putu Dunia dalam menyambut kedatangan pesawat F-16 C/D-52ID mengatakan bahwa Proyek “Peace Bima Sena II” merupakan bagian dari pembangunan kekuatan TNI AU secara bertahap, dan berlanjut sesuai rencana pembangunan Kebutuhan Pokok Minimal. 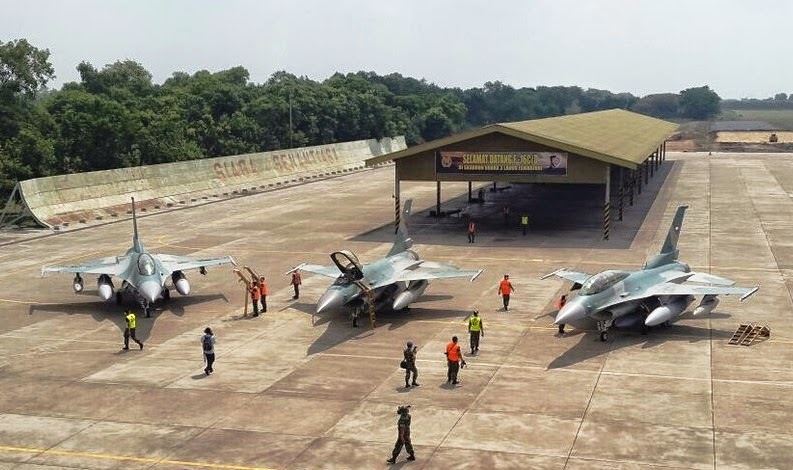 Kasau menegaskan kehadiran 3 unit pesawat dari total pengadaan 24 unit pesawat F-16 C/D-52ID dan ditambah program upgrade 10 unit pesawat F-16 A/B-15OCU diproyeksikan menjadi kekuatan utama Skadron Udara 3 Lanud Iswahjudi Madiun dan Skadron Udara 16 Lanud Rusmin Nuryadin Pekanbaru. Dua Skadron F-16 ini akan menjadi bagian dari strategi penggelaran dan pelibatan dua Komando Operasi Angkatan Udara. Kedatangan pesawat-pesawat F-16 C/D-52ID ini diharapkan dapat meningkatkan kekuatan dan kemampuan Air Power kita untuk menegakkan kedaulatan serta hukum demi kepentingan nasional, tidak saja di wilayah udara nasional namun juga di luar wilayah ZEE Indonesia. Selain menjadi tulang punggung operasi Pertahanan Udara namun juga sebagai penjamin keunggulan udara komando gabungan TNI dalam penyelenggaraan operasi darat, laut maupun di udara. Kedatangan burung-burung besi ini sangat melegakan sesudah sempat tertahan selama lima hari di Eielson AFB, Alaska dan sehari di Andersen AFB Guam akibat permasalahan tehnis pada pesawat tanker udara KC-10 dari Travis AFB. 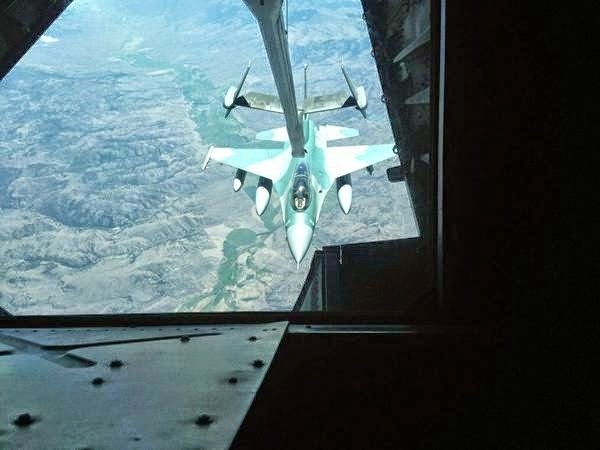 Ketiga pesawat F-16 C/D 52ID TNI AU memulai perjalanan panjang meninggalkan Hill AFB Utah pada hari Selasa (15/7) menuju Alaska. Baru pada hari Rabu (22/7) ketiga pesawat ini bisa meninggalkan Eielson AFB menuju Andersen AFB, Guam yang ditempuh selama 9 jam 46 menit dengan sembilan kali pengisian bahan bakar diudara. Sesuai rencana maka mulai awal bulan Agustus 2014 enam orang instruktur penerbang F-16 A/B-15OCU TNI AU akan mulai melanjutkan latihan terbang konversi “differential flying training” F-16 C/D-52ID di Skadron Udara 3 Lanud Iswahyudi Madiun dibawah supervisi tiga instruktur penerbang dari US Air Force Mobile Training Team. Selanjutnya sesuai rencana pesawat-pesawat lainnya akan mulai berdatangan dan secara bertahap menjalani modifikasi pemasangan peralatan drag chute (payung rem). Konfigurasi awal pesawat F16C/D 52ID TNI AU memang belum dilengkapi dengan drag chute, sehingga modifikasi akan dilakukan tehnisi TNI AU dengan supervisi personil Lockheed Martin mulai kuartal pertama 2015. Seluruh pesawat F-16 C/D ini adalah pesawat Block 25 USAF yang sudah dibongkar total sebelum menjalani upgrading dan refurbished, baik kerangka “airframe” serta modernisasi sistem “avionic” dan persenjataan di Ogden Air Logistics Center Hill AFB, Utah. Rangka pesawat diganti dan diperkuat, cockpit diperbarui, jaringan kabel dan elektronik baru dipasang, semua system lama di rekondisi atau diganti menjadi baru dan mission computer canggih baru sebagai otak pesawat ditambahkan agar pesawat lahir kembali dengan kemampuan jauh lebih hebat dan ampuh setara dengan Block 50/52. Modernisasi dan upgrade avionic berpusat pada pemasangan Mission Computer MMC- 7000A versi M-5 standar Block 52+ sebagai “otak dan syaraf” pesawat yang jauh lebih besar dan cepat kemampuannya dari system lama sehingga kemampuan avionic pesawat menjadi setara dengan F-16 block 50/52 Demikian pula kemampuan radar AN/APG-68 ditingkatkan sesuai system baru yang dipasang. Pemasangan Improved Modem Data Link 16 canggih untuk komunikasi data disamping Embedded GPS/ INS (EGI) block-52 yang menggabungkan fungsi GPS dan INS untuk penembakan JDAM (Bomb GPS). 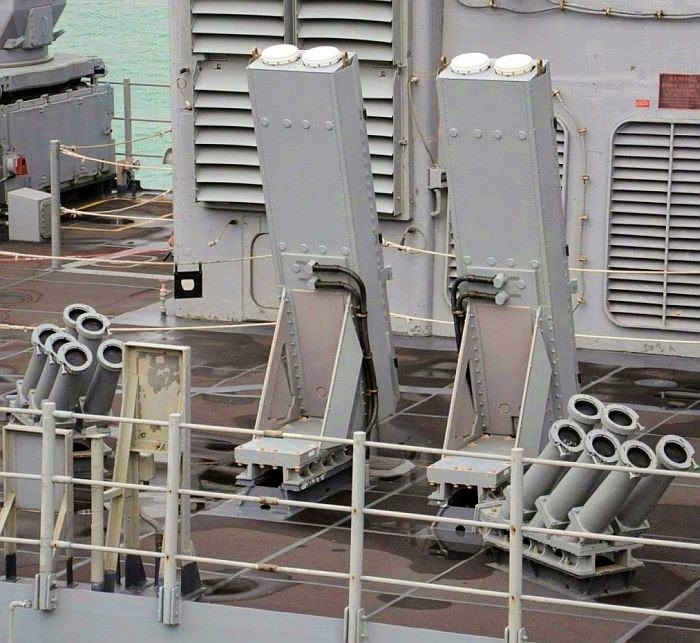 Ditambah peralatan perang elektronika yaitu Electronic Warfare Management System AN/ALQ-213, Radar Warning Receiver ALR-69 Class IV serta Countermeasures Dispenser Set ALE-47 untuk melepaskan Chaffs/ Flares anti radar/ anti rudal. Pelaksanaan Upgrade mesin pesawat menjadi tipe F100-PW-220/E yang memiliki umur muda kembali, serta lebih awet dan lebih handal dari mesin sebel\]khususnya dengan pemasangan system DEEC (Digital Electronic Engine Computer) Grup 6 serta Augmentor Engine baru yang lebih mudah dirawat dan usia pakainya dua kali lebih lama. Dalam urusan pertempuran udara pesawat F-16 C/D 52ID TNI AU ini cukup handal karena selaindketahui sebagai pesawat F-16 paling lincah juga dilengkapi rudal jarak pendek AIM-9 Sidewinder L/M/X dan IRIS-T (NATO) serta rudal jarak sedang AIM-120 AMRAAM-C untuk penembakan “Beyond Visual Range”. Untuk menyerang sasaran permukaan pesawat dilengkapi kanon 20 mm, bomb standar MK 81/ 82/ 83/ 84, Laser Guided Bomb Paveway, JDAM (GPS Bomb), Bom anti runway Durandal, rudal AGM-65 Maverick K2, rudal AGM-84 Harpoon (anti kapal), rudal AGM-88 HARM (anti radar), Improved Data Modem Link 16, Head Up Display layar lebar terbaru yang kompatibel dengan Helmet Mounted Cueing System dan Night Vision Google. Pesawat juga dilengkapi navigation dan targeting pod canggih seperti Sniper/ Litening untuk operasi tempur malam hari serta mampu melaksanakan missi Supression Of Enemy Air Defence (SEAD) untuk menetralisir pertahanan udara musuh. 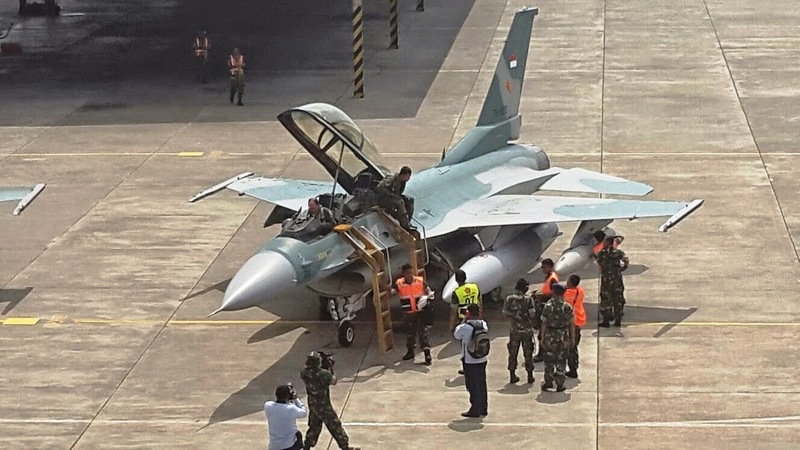 Armada F-16 C/D 52ID TNI Angkatan Udara ini selanjutnya akan melengkapi Skadron Udara 3 Lanud Iswahjudi Madiun dan Skadron Udara 16 Lanud Rusmin Nuryadin Pekanbaru. Pesawat yang telah dilengkapi kemampuan sistem avionic barat yang canggih ini dilengkapi senjata udara modern untuk melengkapi keunggulan daya jangkau operasi dan kecepatan yang membuat pesawat ini sanggup untuk menghadang setiap penerbangan gelap atau menghantam sasaran udara dan darat. Baik sasaran di luar atau dalam wilayah kedaulatan kita, pada saat siang atau malam hari di segala cuaca. Kelak pengalaman dan pemahaman dari aplikasi penggunaan tehnologi perang udara modern yang didapat dalam pengoperasian F-16 CD 52ID niscaya akan membantu kita untuk memperbaiki perencanaan, pengadaan, pelatihan serta doktrin dan taktik perang udara TNI AU. Kita berharap pada saat pesawat tempur masa depan IFX (generasi 4.5) sudah siap dioperasikan maka seluruh prosedur, taktik, pengalaman dan ilmu pengetahuan yang didapat dari pengoperasian pesawat F-16 C/D 52ID bisa kita terapkan untuk menyamai atau bahkan mengungguli kekuatan udara calon lawan dan pesaing negara kita. Pesawat-pesawat canggih ini akan menambah kekuatan Air Power kita untuk menjaga Keamanan Nasional Indonesia. One week old Armed Forces of the Philippines Chief of Staff disclosed United Stated will be giving the Philippine Air Force two Lockheed C-130 “Hercules” planes. “I just talked to our US counterparts, they told us they are making available another two C-130s to address our humanitarian assistance disaster relief concerns,” the AFP Chief said. Currently, the Air Force has three operational C-130s that are being used heavily during relief operations. On the other news, the Department of National Defense is looking to procure two long-range patrol aircraft. Lockheed Martin, is offering to turn Philippine Air Force’s C-130s into maritime patrol aircraft by fitting them with surveillance systems. If this contract pushes through, only half of DND’s allocated budget will be spent. TRIBUNNEWS.COM, SLEMAN – Tentara Nasioanal Indonesia (TNI) Angkatan Udara (AU) meresmikan penggunaan gedung beserta simulator dari Pesawat Grob G120 TP-A di Skadik 104, Lanud Adisutjipto, Kamis (24/7). Peresmian diawali dengan upacara militer sederhana dan dilanjutkan peninjauan dan pengecekan simulator oleh Komandan Pangkalan Udara (Lanud) TNI AU Adisutjipto, Marsekal Pertama TNI Agus Munandar. Komandan Lanud dalam sambutannya memaparkan keberadaan simulator selain bertujuan untuk menyiapkan siswa dalam memasuki tahapan pendidikan terbang yang sesungguhnya, juga dimaksudkan untuk membentuk habit dan keselamatan sebelum memasuki tahap bina terbang. “Tantangan yang semakin berat tersebut menjadikan Lanud Adisutjipto, khususnya Wingdik Terbang, harus mempersiapkan diri sedini mungkin. Tahapan pendidikan yang sekarang ini berjalan merupakan upaya untuk mempersiapkan sumber daya manusia yang diharapkan,” paparnya. Agus Munandar, menambahkan kehadiran pesawat latih Grob G120TP-A sendiri merupakan jawaban atas tantangan dari proses modernisasi alat utama sistem senjata (alutsista) di TNI AU yang sedang dan akan terus berjalan. Pesawat Grob adalah pesawat buatan Jerman yang dipergunakan untuk pelatihan dasar. Pesawat ini merupakan pesawat latih terbaru TNI AU, tiba di Lanud Adisutjipto setahun yang lalu, yang keberadaanya menggantikan pesawat Latih Bravo. 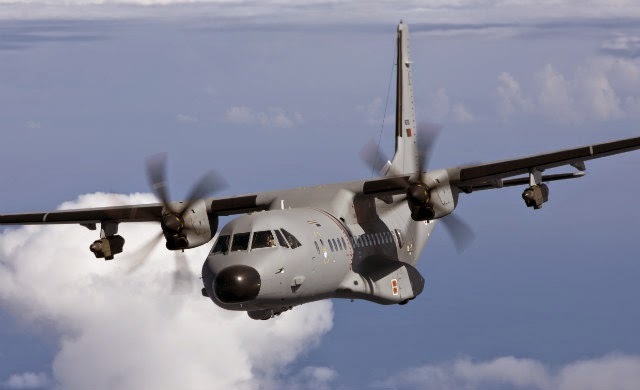 The three C295 transport aircraft that Vietnam has ordered from Airbus Defence and Space (DS) are scheduled to enter service with the Vietnamese air force from 2015, IHS Jane's understands. The purchase contract - thought to be secured in 2013 at a cost of about USD100 million - also includes the supply of spares, maintenance, and training to the air force, which is expected to take delivery of the aircraft at intervals of about six months. It is also understood that the aircraft are being sold to Vietnam in a basic transport configuration with no additional mission systems included. Airbus DS's production of Vietnam's first C295 aircraft, which is currently under way in Seville, Spain, was revealed by IHS Jane's in June, although contract details have not previously been disclosed. 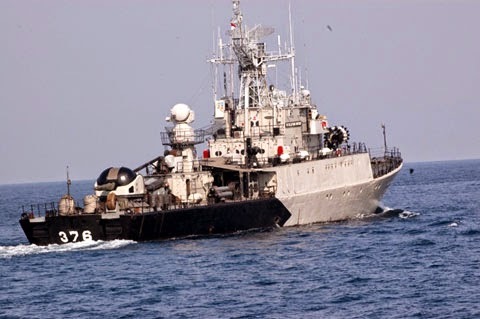 Kapal Perang Republik Indonesia (KRI) Sultan Thaha Syaifuddin (STS-376) salah satu KRI jajaran Satuan Kapal Eskorta Komando Armada RI Kawasan Barat (Satkor Koarmabar) secara resmi mulai melaksanakan pengerjaan pemasangan (Retrofit) meriam 30 mm 7 barrels berikut peralatan Sensor Weapon Command (Sewaco) baru dari Cina, bertempat di PT PAL, Surabaya, Selasa (22/7). Guna kelancaran pengerjaan pemasangan Meriam 30 MM 7 barrels, Komandan KRI Sultan Thaha Syaifuddin-376, Letkol Laut (P) Ario Sasongko, S.E., M.P.M., melaksanakan acara berbuka puasa bersama sekaligus pengajian dan pemotongan tumpeng, di Lounge Room Bintara KRI Sultan Thaha Syaifuddin-376. Sementara itu, saat acara potong tumpeng, Komandan KRI STS-376 secara simbolis menyerahkan potongan tumpeng kepada Tamtama termuda. Turut hadir dalam acara tersebut, Pjs Komandan KRI STS, Mayor Laut (P) Toni Soemarno, S.E., KKM Mayor Laut (T) M. Irwan Ridhwan, Palaksa Kapten Laut (P) Denny Firdian, beserta seluruh Perwira, Bintara dan Tamtama KRI STS-376. Dalam kesempatan tersebut, Komandan KRI STS-376 yang merupakan alumnus Armed Forces of Philippines Command and General Staff College ini memberikan penekanan, di antaranya yaitu untuk selalu memohon petunjuk dan bimbingan dari Allah SWT di dalam setiap langkah dan tindakan, serta tetap meningkatkan kewaspadaan dan purba jaga di dalam pelaksanaan pemasangan meriam baru ini, memahami dan melaksanakan tugas secara profesional, proporsional dan penuh tanggung jawab, jangan sampai lengah serta senantiasa melaksanakan pengecekan ulang terhadap seluruh ruangan-ruangan guna mengantisipasi bahaya kebakaran maupun kebocoran. Berkaitan dengan hal tersebut, diharapkan seluruh rangkaian kegiatan pemasangan meriam baru ini dapat dikerjakan dengan sebaik-baiknya. Dengan demikian, seluruh ilmu pengetahuan yang telah diperoleh personel KRI STS-376 selama menjalani training di China baru-baru ini dapat diaplikasikan di dalam mengoperasikan maupun merawat semua alutsista yang dipasang meriam dan peralatan sensor jenis tersebut. Selanjutnya, Komandan KRI STS-376 menambahkan bahwa dengan adanya pemasangan meriam dan peralatan sensor yang baru ini, akan meningkatkan kemampuan tempur KRI STS-376 sebagai salah satu unsur KRI di jajaran Satkor Koarmabar. MANILA, Philippines — Defense Secretary Voltaire Gazmin and Canadian Trade Minister Edward Fast discussed the two countries' increasing defense cooperation as well as a helicopter project. Gazmin and Fast highlighted the recently signed contract for $105 million (P4.5 billion) for firm Bell Helicopter Textron Canada Ltd. to supply eight specialized helicopters for the Philippine armed forces. "This contract is an outcome of the Memorandum of Understanding between the Canadian Commercial Corporation and the Department of National Defence of the Philippines," a statement released by the Foreign Affairs, Trade and Development Canada said. The agency said Fast expressed Canada's continuing interest in assisting the Philippines advance its defense and security agenda. The Philippines is gearing to attain a minimum credible defense posture especially in the maritime domain amid concerns on China's increasing militarization in Philippine-claimed areas in the South China Sea. In February, the Philippines and Canada also signed an agreement seeking to improve capabilities of Filipino soldiers by providing them training opportunities. 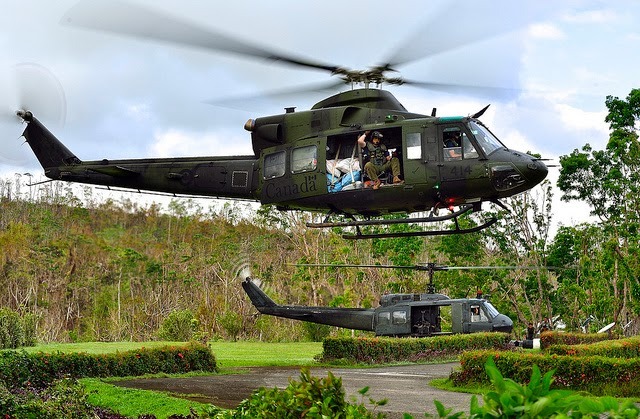 Another Canadian firm, Eagle Copters Ltd. in a joint venture with American company Rice Aircraft Services Inc., bagged a deal with Manila to supply UH-1 combat utility helicopters in December 2013. The Canadian minister, meanwhile, said that the deal highlights Canada's capabilities as manufacturer and supplier in the defense and security sector. Fast led a trade mission in the Philippines from July 21 to 22, focusing in opportunities in agriculture, defense, information and communications technology sectors. 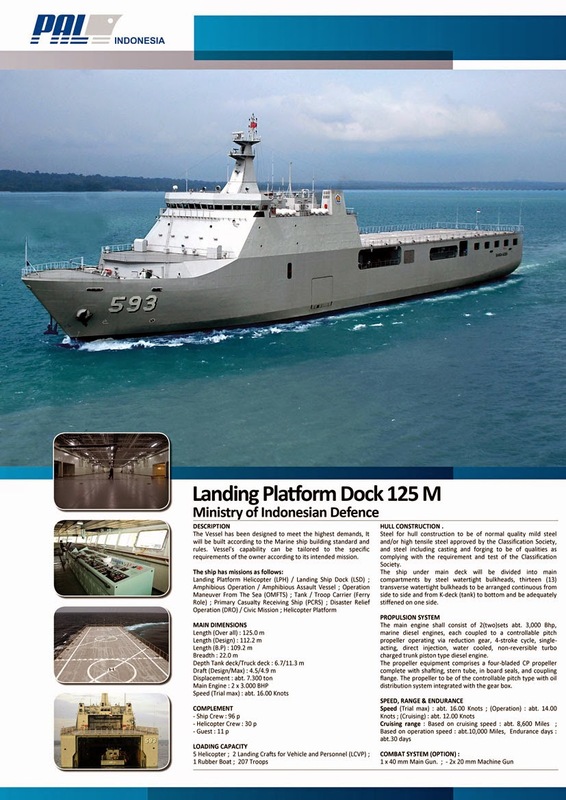 The Myanmar Navy (MN) and Indonesian naval shipbuilder PT PAL are in talks over the MN's potential purchase of landing platform docks (LPDs) to bolster sealift and amphibious capabilities, IHS Jane's understands. The two parties have recently entered what have been described to IHS Jane's as "preliminary discussions" about the MN's acquisition of a small number of vessels based on PT PAL's Makassar-class LPD, which in turn is based on a design by South Korea's Dae Sun Shipbuilding and Engineering. 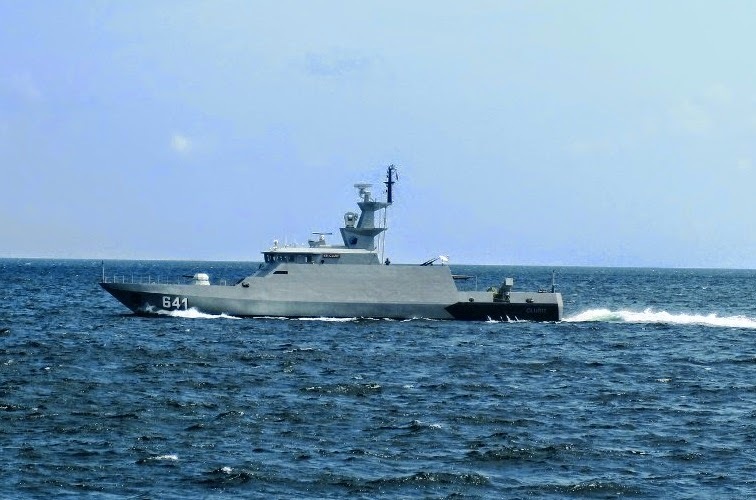 PT PAL has delivered five Makassar-class LPDs to the Indonesian Navy and in June signed a contract to supply the Philippine Navy (PN) with two LPDs based on the same design. Akhirnya tiga pesawat F-16 C/D 52ID TNI AU dengan call sign "Viper Flight," dari Eielson AFB (Air Force Base) Alaska berhasil mendarat dengan selamat di Andersen AFB Guam. Pesawat tinggal landas dari Eielson AFB pada tanggal 22/7 pukul 11.14 waktu Alaska (tgl.22/7 pukul 02.00 WIB) dan mendarat di Guam pada pukul 15.00 waktu Guam (tgl 23 pukul 12.00 WIB). Pesawat leader adalah sebuah F-16 C dengan nomer TS 1625 yang diterbangkan Col. Howard Purcel, pesawat kedua adalah sebah pesawat F-16 D dengan nomer TS 1620 yang diawaki Maj Collin Coatney / Ltk.Firman Dwi Cahyono dan pesawat terakhir juga sebuah F-16 D dengan nomer TS 1623 yang diawaki Ltc. Erick Houston/ May.Anjar Legowo. 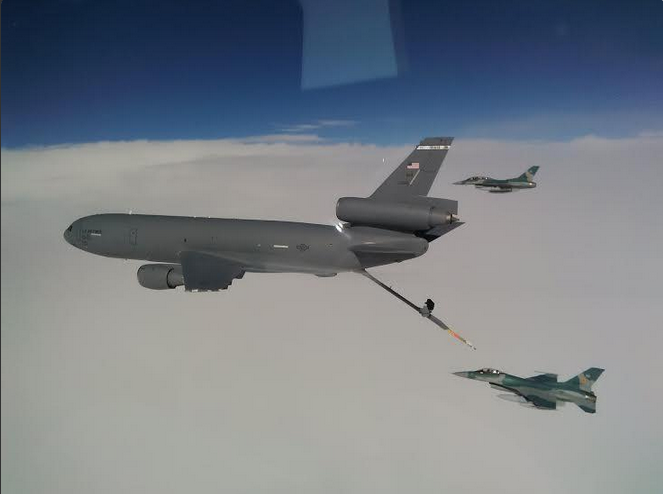 Viper Flight telah menempuh perjalanan dari Eielson AFB Alaska meneuju Andersen AFB Guam selama 9 jam 46 menit dengan dikawal pesawat tanker KC-10 dari Travis AFB. Semula flight terbang pada ketinggian 25.000 kaki dengan kecepatan 0.75 MN (Mach Number) atau sekitar 450 KTAS (Knots True Air Speed) melewati Samudra Pasifik yang luas. Namun penerbangan terpaksa naik keketinggian 27.000 kaki untuk menghindari awan dan turbulensi. Selanjutnya pada dua jam terakhir kecepatan terpaksa ditambah agar tiba sesuai rencana. 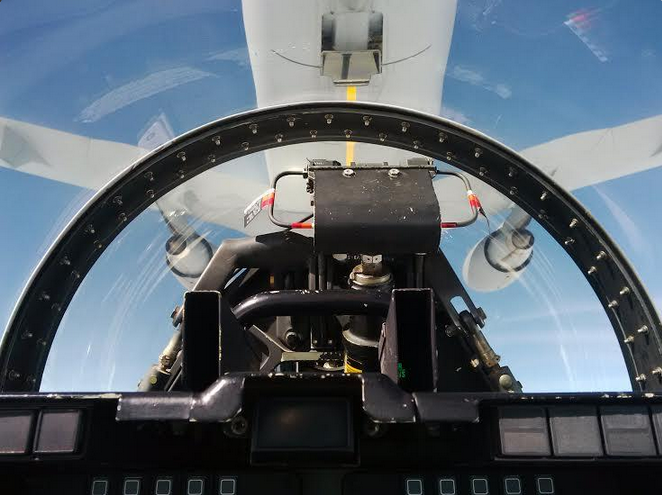 Selama perjalanan telah dilaksanakan 9 kali air to air refueling. Saat mendarat dalam kondisi hujan ringan (light rain) namun setelah landing menjadi cukup lebat (shower rain). Setelah sebelumnya tertahan selama 5 hari di Eielson karena kerusakan pada pesawat tanker maka besok tanggal 23 Juli akan dilaksanakan penerbangan leg terakhir dari Guam langsung menuju Lanud Iswahyudi Madiun dengan rencana waktu tempuh 5 jam 16 menit. Ketiga pesawat direncanakan akan mendarat pada pukul 11.16 di Lanud Iswahjudi Madiun pada tanggal 24 Juli 2014, dan akan diterima oleh Kepala Staf Angkatan Udara dan pejabat teras TNI AU dan Kemhan untuk selanjutnya akan langsung diparkir di hangar Skadron Udara 3 “The Dragon Nest” untuk inspeksi. Setelah libur Idul Fitri maka enam instruktur penerbang F-16 akan mulai melanjutkan latihan terbang konversi F-16 C/D nya di Lanud Iswahyudi Madiun mulai bulan Agustus 2014 dibawah supervisi empat instruktur penerbang dari US Air Force Mobile Training Team. Rencananya pesawat-pesawat ini akan menjalani modifikasi pemasangan peralatan drag chute karena konfigurasi awal pesawat F16C/D-52ID tidak dilengkapi dengan drag chute (rem payung) yang dilakukan tehnisi TNI AU dibantu personil Lockheed Martin pada kuartal pertama 2015. Seluruh pesawat sebelumnya menjalani upgrading dan refurbished rangka “airframe” serta modernisasi sistem “avionic” dan persenjataan di Ogden Air Logistics Center Hill AFB, Utah. Rangka pesawat diperkuat, cockpit diperbarui, jaringan kabel dan elektronik baru dipasang, semua system lama di rekondisi atau diganti menjadi baru dan mission computer canggih baru sebagai otak pesawat ditambahkan agar lahir kembali dengan kemampuan jauh lebih hebat dan ampuh. Modernisasi dan upgrade avionic dan engine pesawat dilaksanakan untuk meningkatkan kemampuan menjadi setara dengan F-16 block 50/ 52, khususnya dengan pemasangan “otak dan syaraf” pesawat yaitu Mission Computer MMC- 7000A versi M-5 yang juga dipakai Block 52+, demikian pula radar AN/APG-68 (V) ditingkatkan kemampuan sesuai system baru yang dipasang. 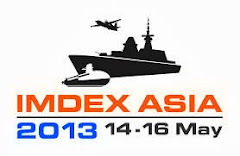 Juga Improved Modem Data Link 16 untuk komunikasi data canggih, Embedded GPS/ INS (EGI) block-52 yang menggabungkan fungsi GPS dan INS dan berguna untuk penembakan JDAM (Bomb GPS), Electronic Warfare Management System AN/ALQ-213, Radar Warning Receiver ALR-69 Class IV serta Countermeasures Dispenser Set ALE-47 untuk melepaskan Chaffs/ Flares anti radar/anti rudal. Untuk seluruh mesin pesawat tipe F100-PW-220/E telah menjalani upgrade menjadi baru kembali, khususnya dengan pemasangan system DEEC (Digital Electronic Engine Computer) baru dan Augmentor Engine baru yang usia pakainnya dua kali lebih lama. Dalam urusan pertempuran udara pesawat ini cukup handal karena disamping lincah F-16 C/D 52ID TNI AU juga juga dilengkapi rudal jarak pendek AIM-9 Sidewinder L/M/X dan IRIS-T (NATO) serta rudal jarak sedang AIM-120 AMRAAM-C . Untuk menyerang sasaran permukaan dilengkapi kanon 20 mm, bomb standar MK 81/ 82/ 83/ 84, Laser Guided Bomb Paveway, JDAM (GPS Bomb), Bom anti runway Durandal, rudal AGM-65 Maverick K2, rudal AGM-84 Harpoon (anti kapal), rudal AGM-88 HARM (anti radar), Improved Data Modem Link 16, Head Up Display layar lebar terbaru yang kompatibel dengan Helmet Mounted Cueing System dan Night Vision Google. Pesawat juga dilengkapi navigation dan targeting pod canggih seperti Sniper/ Litening untuk operasi tempur malam hari serta mampu melaksanakan missi Supression Of Enemy Air Defence (SEAD) untuk menetralisir pertahanan udara musuh. TNI Angkatan Udara merencanakan armada baru F-16 C/D 52ID ini akan melengkapi Skadron Udara 3 Lanud Iswahjudi Madiun dan Skadron Udara 16 Lanud Rusmin Nuryadin Pekanbaru. Dilengkapi kemampuan sistem avionic canggih dan senjata udara modern serta keunggulan daya jangkau operasi membuat pesawat ini sanggup untuk menghadang setiap penerbangan gelap atau menghantam sasaran, baik di luar atau dalam wilayah kedaulatan kita, pada saat siang atau malam hari. Pengalaman dan pemahaman dari aplikasi penggunaan tehnologi perang udara modern yang didapat dalam pengoperasian F-16 CD 52ID niscaya akan membantu kita untuk memperbaiki perencanaan, pengadaan, pelatihan serta doktrin dan taktik perang udara TNI AU. 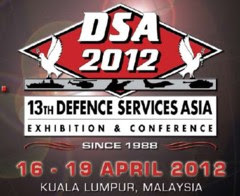 Diharapkan pada saat pesawat tempur masa depan IFX sudah siap dioperasikan maka berbagai prosedur, taktik, pengalaman dan ilmu pengetahuan yang didapat dari pengoperasian pesawat F-16 C/D 52ID bisa kita terapkan untuk menyamai dan bahkan mengungguli kekuatan udara calon lawan dan pesaing negara kita. Pesawat-pesawat canggih ini akan menambah kekuatan tempur TNI Angkatan Udara sebagai tulang punggung Air Power (Kekuatan Dirgantara) Negara kita demi menjaga Keamanan Nasional Indonesia. MANILA, Philippines — The United States will give two Lockheed C-130 "Hercules" planes to the Philippines, newly appointed Armed Forces of the Philippines (AFP) chief-of-staff Lt. Gen. Gregorio Pio Catapang revealed. In a state report, Catapang disclosed the impending donation in a visit to the 1st Air Division headquarters in Clark Field, Pampanga, citing American military officials. "I just talked to our US counterparts [and] they told us they are making available another two C-130s to address our humanitarian assistance disaster relief concerns," Catapang said. The United States military has deployed a humanitarian mission to the Visayas after the onslaught of deadly typhoon Yolanda, which took thousands of lives and destroyed countless homes. Catapang said that the Americans extended the offer after learning of President Aquino's plans to acquire new cargo aircrafts for the military. The existing C-130 planes of the Air Force figured heavily in the transport of relief goods for victims of typhoon Yolanda and equipment needed by government troops involved in the efforts last year. In November last year, former AFP chief Gen. Emmanuel Bautista announced that the country seeks to procure two more C-130 planes to improve disaster relief operations. "We are in the process of acquiring two more C-130s. As you very well know, we only have three C-130s. 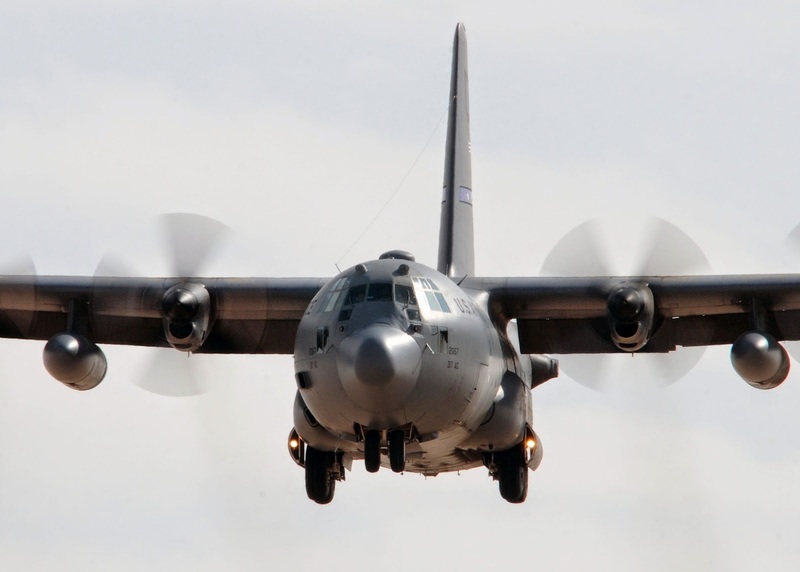 In terms of strategic lift, C-130s are very important," Bautista said. Ideally, he said the Philippine Air Force should have at least nine C-130s. Australia is seeking expanded engagement in Norway's air-launched anti-ship Kongsberg Joint Strike Missile (JSM) programme, the Department of Defence (DoD) in Canberra confirmed to IHS Jane's on 21 July. 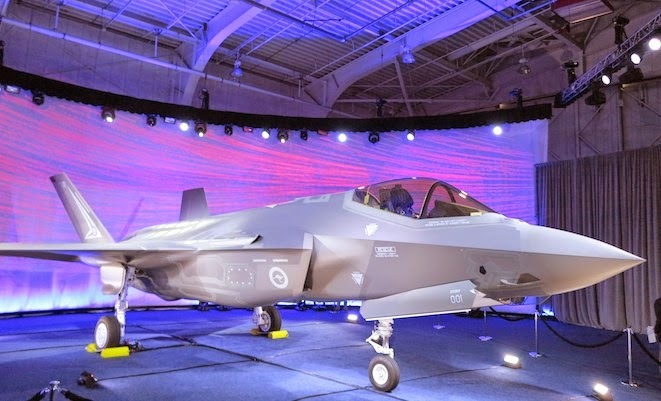 The collaboration project is framed around both countries' participation in the Lockheed Martin F-35 Lightning II Joint Strike Fighter programme. 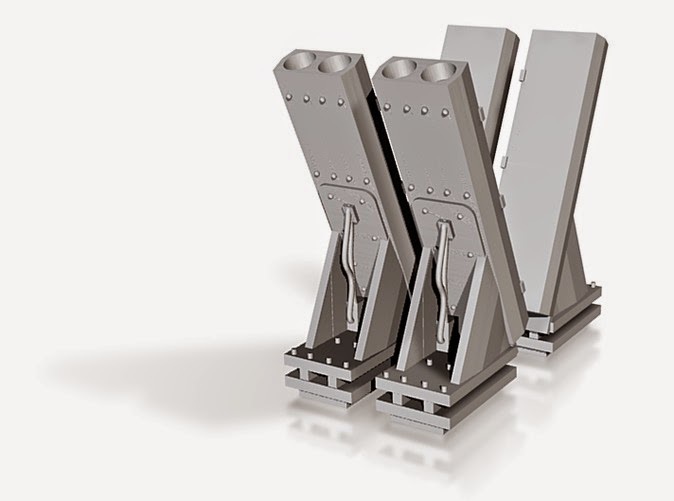 The JSM has been conceived as a precision-strike missile specifically designed for the internal carriage in F-35A and F-35C variants of the aircraft. 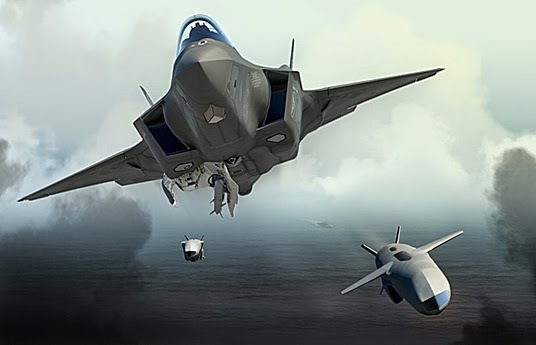 A spokesman from the DoD said that although Australian industry has previously participated in the JSM programme, new rounds of discussions between the two countries are focused on potentially expanding collaboration with a focus on the missile's integration onto the F-35. The Department of National Defense (DND) said on Tuesday that it is allocating P63,159,000 to acquire two rigid hull inflatable boats (RHIBs) for the Philippine Navy. The money will be sourced from the Armed Forces of the Philippines (AFP) Modernization Funds and the contract will include an integrated logistic support for the craft, DND said. 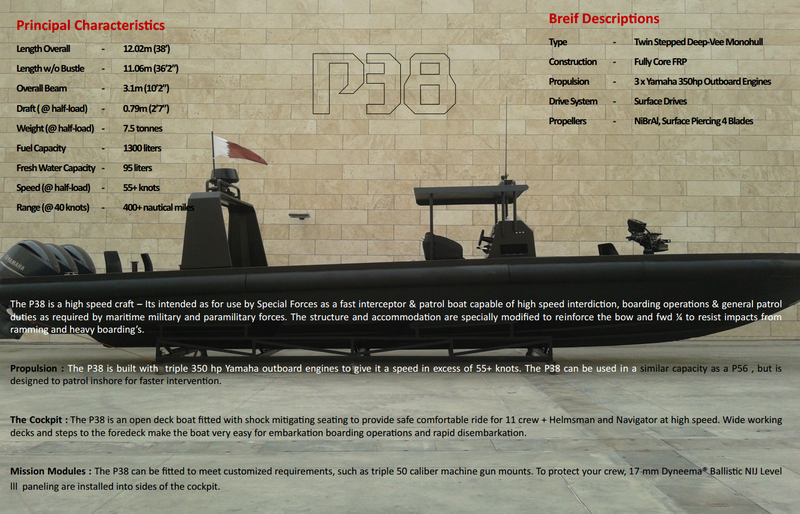 The RHIBs will be used by the PN for "maritime interdiction and GOPLAT takedown missions." The craft must be able to cruise at speeds of 45 knots, withstand and still be functional at Sea State 4, and capable of carrying 14 passengers (including four crewmen). Interested bidders must have completed a similar project within the last 10 years and must be able to deliver the RHIBs within 180 calendar days from the issuance of the notice to proceed. Pre-bid conference is slated at 9 a.m. on July 31 at the PVAO Conference Room, Andres Bonifacio Hall, PVAO Compound, Camp Aguinaldo, Quezon City. Bid opening is set on Aug. 13, also in the same venue. 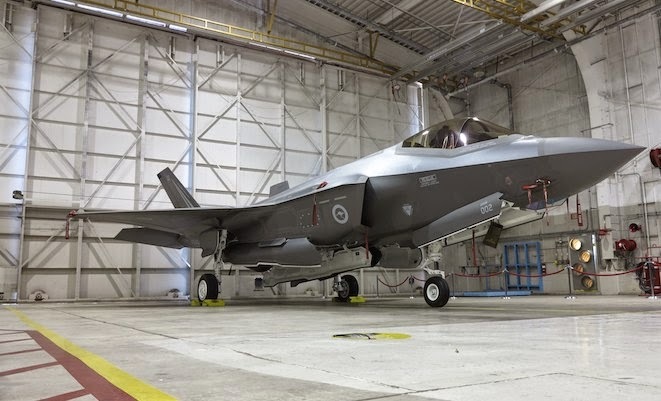 The first of up to 100 Lockheed Martin F-35A Lightning II fighters for the RAAF will be formally rolled out on July 24. The aircraft – designated AU-1 – will be ceremonially handed over to RAAF and government officials at the company’s Fort Worth facility. 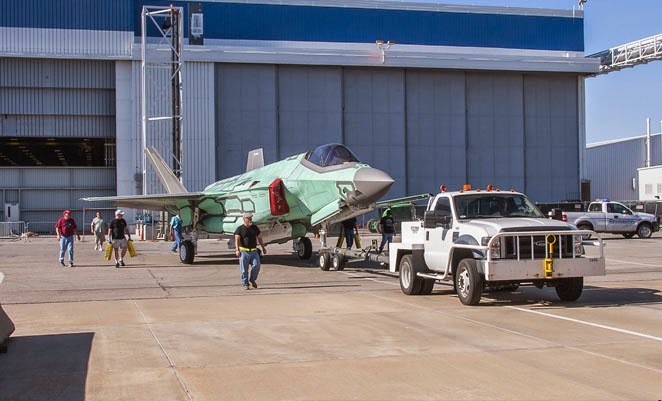 It will then be taken to a flight line hangar for final work before first flight, and will subsequently be delivered to the USAF’s F-35 schoolhouse at Luke AFB in Arizona where it will be pooled with other US and partner nation F-35As for training. At present only two F-35As have been contracted by Australia, while long-lead items for a follow-on batch of 12 aircraft have also been paid for. 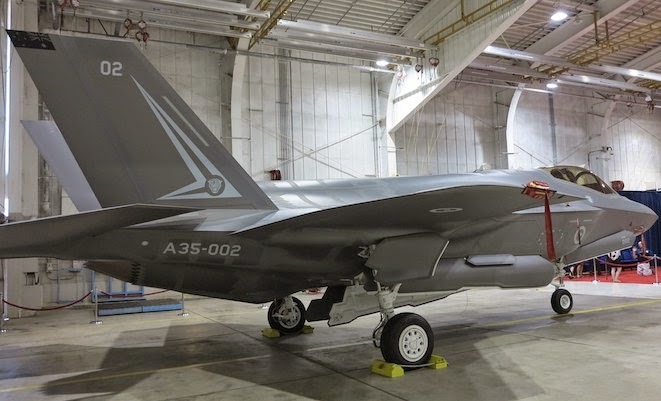 A further 58 F-35As have been approved by government, and these will be ordered as the production lots for these aircraft are contracted by the US government. The RAAF’s first two F-35A pilots are due to commence training on the aircraft late this year and early next year.